The day began like any other, but during the afternoon of September 18, 2015, the tiny heart of 22-month old Moriah Constance Wimberley would stop beating - only to never start again. It would be out of this unimaginable anguish that a West Texas oil man and his family would never view life the same again. 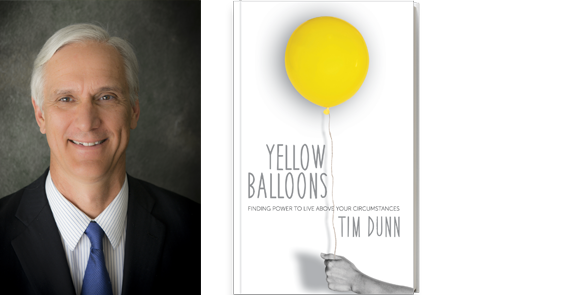 Yellow Balloons - Power for Living Life Above the Circumstances is both memorial and testimony to Moriah’s young life and how each of us can be blessed and empowered to live life above the agonies, the drudgeries, and the successes of our “two-minute ride” here on earth. 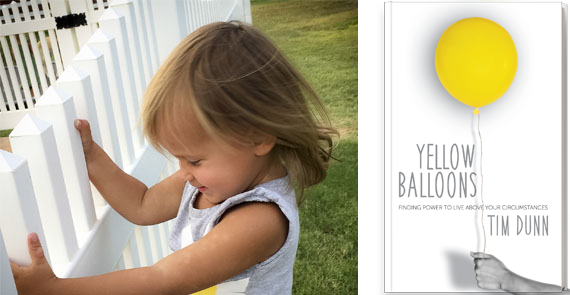 Reviews and recommendations for Yellow Balloons. Click here to get a passcode and receive a free download. Tim Dunn was born and raised in the oil-rich plains of West Texas. He learned the value of hard work at an early age from a father who worked as a farmer and factory worker during the trying and uncertain days of The Great Depression and World War II. He is the CEO of CrownQuest Operating Company. Tim and his wife, Terri, make their home in Midland, TX where they are the proud parents of six children and 15 grandchildren. Copyright © 2019 Yellow Balloons. All Rights Reserved.